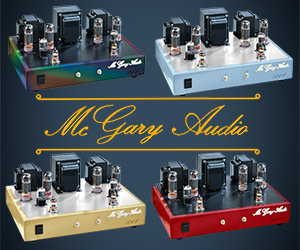 -- by John Grandberg DACs are big business these days. If Scot directed all us contributors to cover one significant DAC release every month, we'd probably keep busy just from that alone - with no room left for speakers, amps, preamps, etc. Thankfully Scot hasn't done that, although he does ask for coverage of select units. The interesting DACs. The breakthrough designs. The stuff with unusual features, or novel implementations, or some other noteworthy aspect. Which models are the interesting ones that readers want to know more about? Let's find those and give them some coverage. Resonessence Labs is a name that some will recognize due to the excellent reviews they've racked up over the past few years. But they aren't one of those widely known industry stalwarts like Esoteric, Bel Canto, dCS, or Audio Research, who have been making DACs for a few decades. Resonessence belongs to what I dub the "new wave of digital" - seems like every few months we hear about some amazing new DAC like the Bricasti M1, the TotalDac D1, the Auralic Vega, the Calyx Femto, the Light Harmonic DaVinci... Sure, these companies probably have designers on board with tons of experience. Yet as a name brand, none has a lengthy history for potential customers to reference. 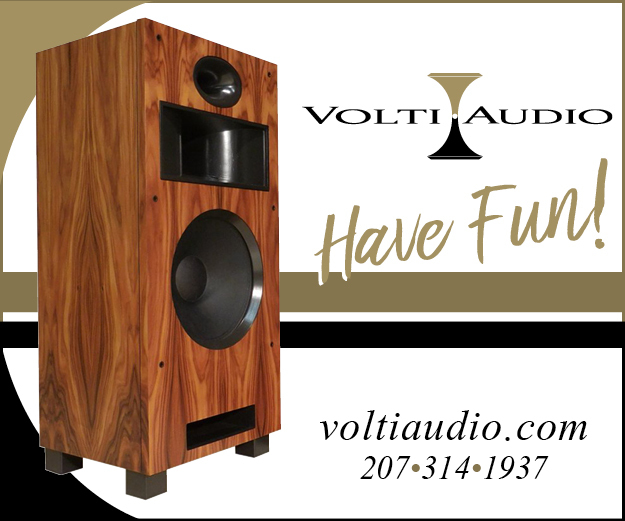 We can talk about the "house sound", if such a thing really exists, of Levinson or Naim or Conrad Johnson, and people generally know what that means. But that doesn't apply so much to a newer brand like Resonessence Labs. That's one of the reasons why I'm excited to shed some more light on their gear. That, and the fact that it sounds really, really good. 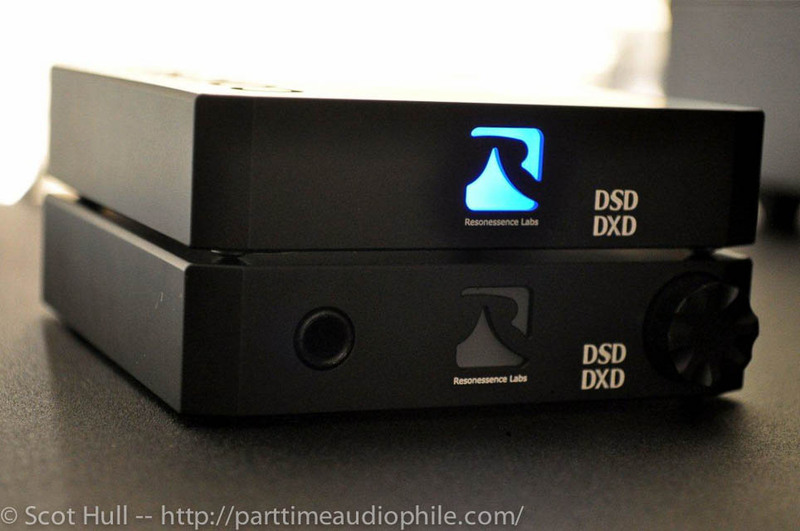 Resonessence Labs started out with a single product – the flagship Invicta DAC ($3999). 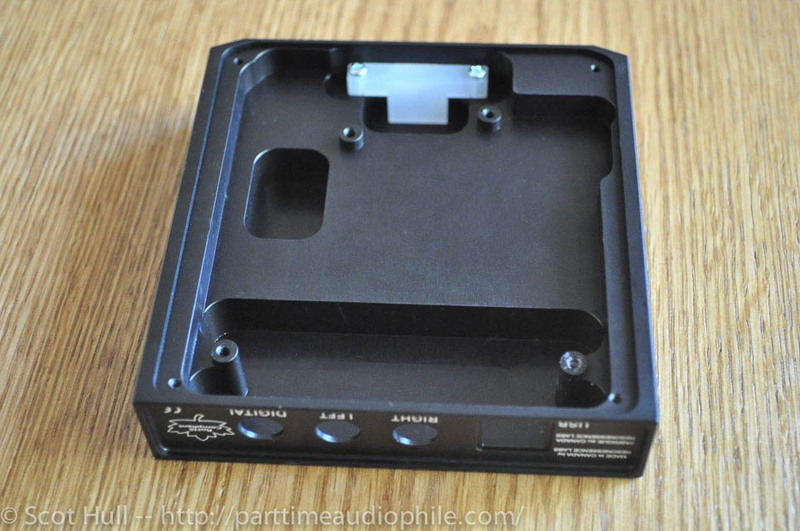 That model remains my reference, and is one of the best DACs I’ve experienced at any price. The Invicta just got a significant refresh and the new models (they now have two variations) go for $4999. 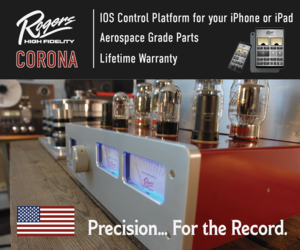 But Resonessence hasn’t forgotten about the rest of the market — their Concero series of compact DACs aims to provide a generous helping of the Invicta performance for a much smaller chunk of cash. And I’d say they succeed. 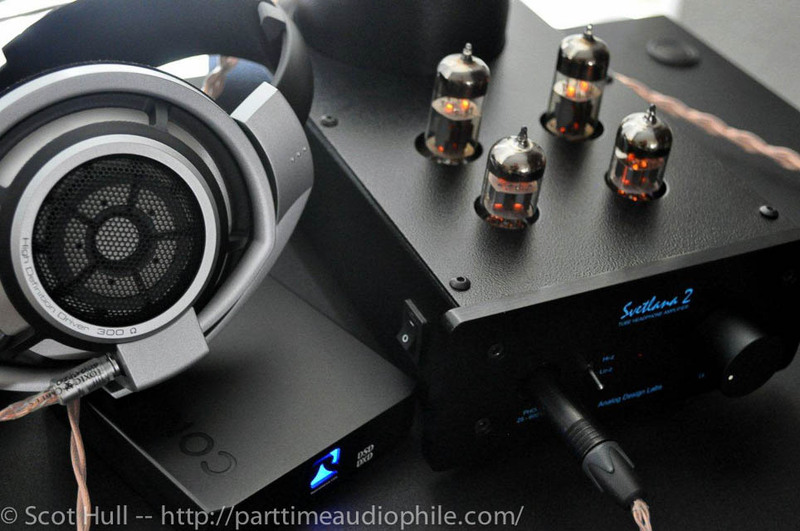 I reviewed the original Concero ($599) over at HeadFi and described it as a true “giant killer” if ever there was one. And I wasn’t alone in that, with John Darko (DAR and TONEAudio #53) calling it “a triumph of innovation and sonic flair”. Almost a year has passed since the original Concero dropped. How could Resonessence Labs possibly top that little marvel? To be frank, I had my doubts. How do you put forth your best effort, make a wildly impressive product, and then have room to improve it less than a year later? But the folks at Resonessence know what they’re doing, and they had a trick up their collective sleeve just waiting to be unleashed …. Let’s back up for a second and talk about the company and their history. If you’ve read some of the other reviews of their gear, you can skip ahead. Still with me? Okay, here’s the deal in a nutshell. Mark Mallinson, head honcho at Resonessence, used to be the Operations Director at ESS Technology. 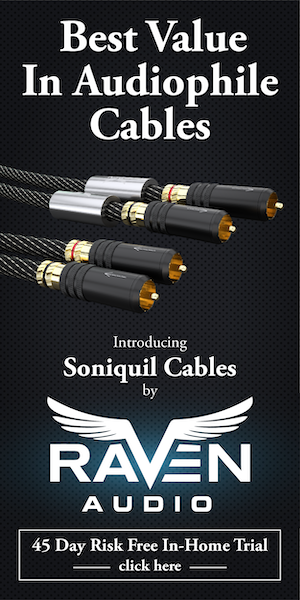 No doubt you’ve heard of their cutting edge Sabre DAC chips? 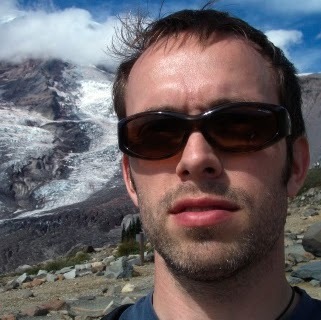 Mark left ESS to form Resonessence Labs, and he took several engineers with him. Basically these are the guys responsible for creating the Sabre DACs, and are therefore uniquely qualified to develop gear based around those chips. 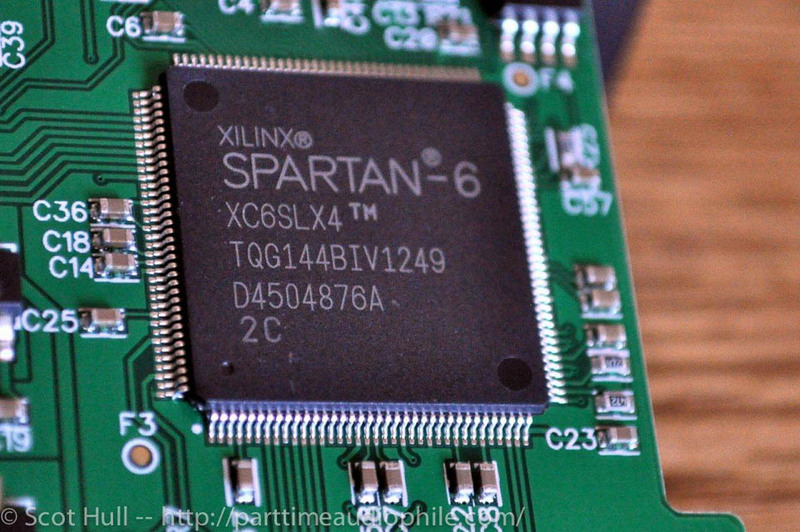 Other designers, as well as the DIY crowd, have pointed out how difficult it is to extract the best performance from the ESS chips as compared to options from Wolfson, Analog Devices, Cirrus Logic, or Texas Instruments. The Sabre DACs do a lot of things differently and demand some creative thinking in the implementation. Who better to best exploit them than the very people who created them? So, with the background explained, let’s take a look at the actual device. The Concero HD ($850) is nearly identical in appearance to the original Concero. Without further investigation it would appear to be the same exact enclosure being used, the only differentiation being the “DSD” and “DXD” badging on front. Very careful comparison reveals slightly increased spacing between RCA jacks, no doubt to accommodate massive plugs on fancy cables. But that’s the extent of the differences, at least on the outside. It’s still the same impossibly compact size, measuring just 4 inches by 4 inches and standing 1 inch tall. Yep, you read that right – we’re talking really small. Place a CD jewel case on top and you can’t see any Concero peeking out from underneath. I’m surprised I haven’t lost mine yet considering the usual state of my desktop. Despite the tiny size, Concero HD is incredibly well-built, its seemingly one-piece construction and satisfying heft putting it leagues above most compact devices of this nature. Connectivity is really simple. USB input, RCA output, and a hybrid coaxial SPDIF port which can do in or out. Power comes in over USB, with a trio of LM1117 low dropout regulators used for the digital supplies. Using the hybrid coaxial port as an input still requires a USB cable for AC power, using an adapter like you (probably) already own for charging Android or Apple devices. Choosing USB as an input, the coaxial port (galvanically isolated with a pulse transformer) can output a converted audio stream, making the device double as a very high quality USB to SPDIF converter. Resonessence wisely chose to repurpose the standard Apple remote rather than create their own. 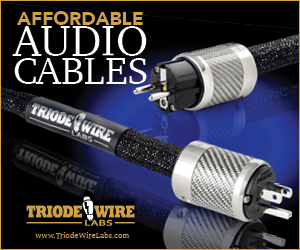 Have you seen some of the crap that these audio companies expect us to use? On one side, you get the big 10 inch long thick metal wands, packed with tiny buttons which are all identical to one another, and no backlighting to make up for the counter-intuitive placement. If not that, it’s usually an incredibly cheap looking thing that could pass for a $10 universal remote. Either way, no thanks. The little Apple remote is well built, compact, very ergonomic, and best of all — many people already own one. If not, Resonessence can supply one for an extra fee (complete with Resonessence logo) as part of a package that also includes a USB power adapter. Or just grab one from one of the many sources that sell them online. The Concero doesn’t necessarily need the remote, but it’s nice to have for a variety of reasons which I’ll cover later. Inside, the Concero HD is very different from its lesser sibling. 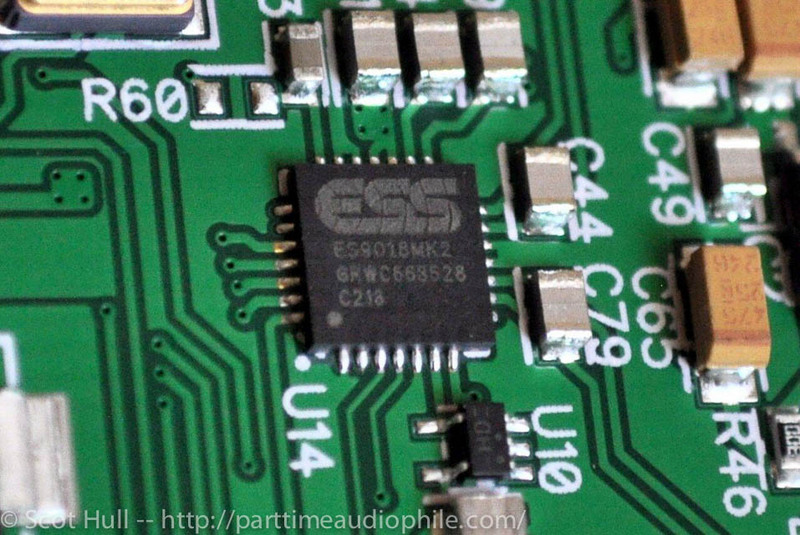 The most obvious change is the actual DAC chip itself. The original model packs an ES9023 which is from the ESS “Premier” line. That’s a fantastic chip, used in plenty of successful designs. 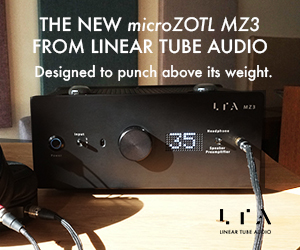 It’s strength is in its simplicity — with an integrated line-driver, it delivers a clean signal straight from the DAC itself without the need for any further filtering or I/V conversion. The Concero HD steps up to the brand new ES9018-2M which is considered part of the ESS “Reference” family. 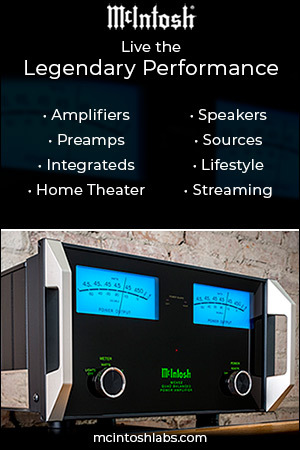 If the name sounds familiar, it’s because the flagship ES9018 is used in some very highly regarded designs from the likes of McIntosh, SimAudio, Accuphase, Benchmark, and Weiss, among others. The new 2M version is a brand new chip from a totally new die, with a focus on smaller size and lower power requirements. You can see from my pictures how the new chip is really small. 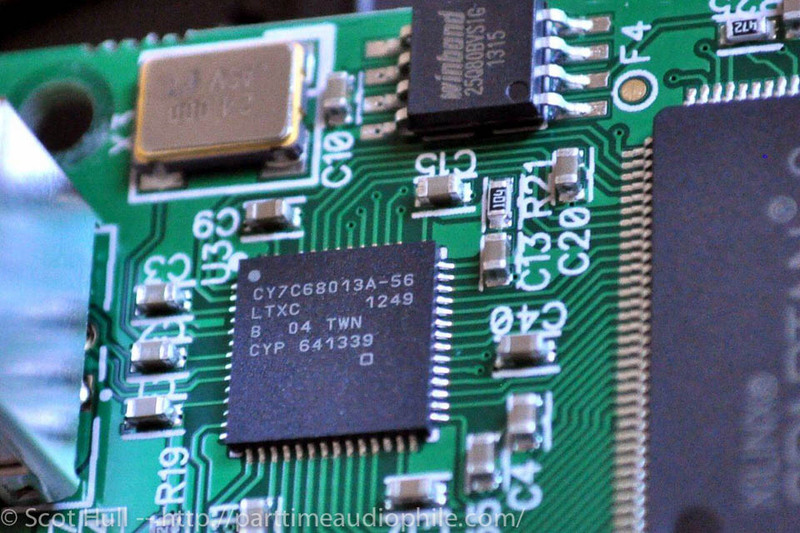 To my knowledge Concero HD (along with its HP sibling for headphone users) is the first product on the market using this latest ESS chip. The original Concero will remain in the Resonessence lineup at $599. It’s still a great buy in my opinion. In light of that, I asked a Resonessence engineer about what exactly sets the new HD apart from the original. 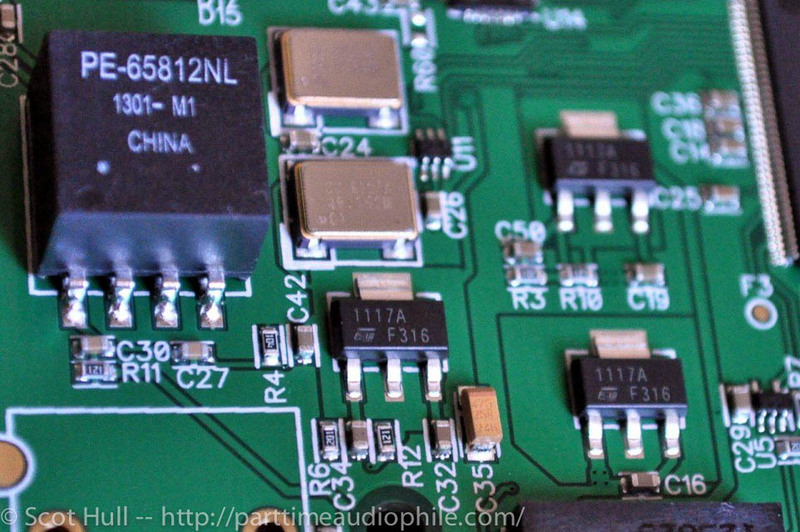 The newer, higher spec DAC chip is the most obvious change — in addition to a better signal-to-noise ratio, lower distortion, and superior jitter attentuation, it also allows for playback of the high resolution DSD format. The analog output stage is also very different. The new ES9018-2M, being more closely related to the ES9018 than the ES9023, has very different requirements. Lacking the integrated line driver of the original Concero, the HD gets a more advanced output stage built around a pair of Analog Devices AD8397s. There are 4 of these opamps in total (2 per package). One is used to make the Left channel DAC reference voltage, another for the Right channel reference, then 1 for the Left output buffer, and the last for the right buffer.The output is a standard 2Vrms, with an impedance of 75 ohms. Resonessence also tweaked the SPDIF input circuit to make it more robust. Apparently a few Concero users had disconnect problems due to appliances being plugged in nearby, causing the Concero to lose signal lock when turning on a ceiling fan or something. That wasn’t a problem for most people but now it should be solved for the small number of users who experienced it. Another change was made to the clock distribution circuit, which results in even lower jitter. The original model had the clock mux routed through the FPGA, while this new version uses a discrete multiplexer for even lower jitter. If none of this technical stuff means anything to you, don’t worry about it — just think of it as further refinement, getting the most out of an already very effective design. Like the original model, Concero HD has selectable upsampling. This requires use of the remote, so I consider the remote almost necessary even though I personally don’t use it for the other functions. Other functions? Yep. Since the device itself has no buttons or switches at all, the remote handles things like muting unused outputs. It also does transport controls for most music player software – skip forward or back, play, and pause, it can all be done from the remote. That could come in handy for a headless server like a Mac Mini. Last but not least, the remote allows one to cycle through the optional upsampling with proprietary filters. The front panel LED changes color based on which filter is in use – kind of a neat touch. 44.1kHz material goes up to 176.4kHz, and 48kHz becomes 192kHz. Files already recorded in high-resolution (which I define as being above 48kHz) remain in their native form. Resonessence has multiple filters in their flagship Invicta and chose to include two favorites — IIR and Apodizing — in the Concero. As for differences between each filter, I’ll quote myself from my review of the original model. Quoting yourself isn’t tacky, is it? All of this holds true for the HS just as it did for the original. Volume control is handled by the Sabre chip itself. Moving a volume slider in your playback software of choice may look like software volume attenuation, but it’s actually done through the internal volume control function of the ESS chip which has taken over your software (scary right?). This 32-bit control scheme should be far superior to the average software solution. Yes, if you listen at low enough levels, bits are still being thrown away. See Scot’s excellent write up on the matter; as you read it, keep in mind that Scot is discussing ideal solutions – which can be very different (and more expensive!) than real world, every day solutions. 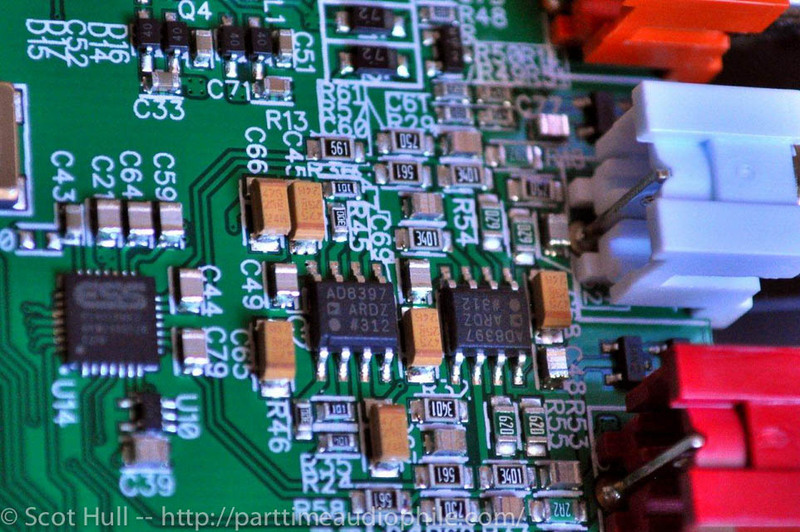 The alternative, an analog potentiometer that doesn’t cost an arm and a leg, has just as many problems as the well-done digital scheme seen here. 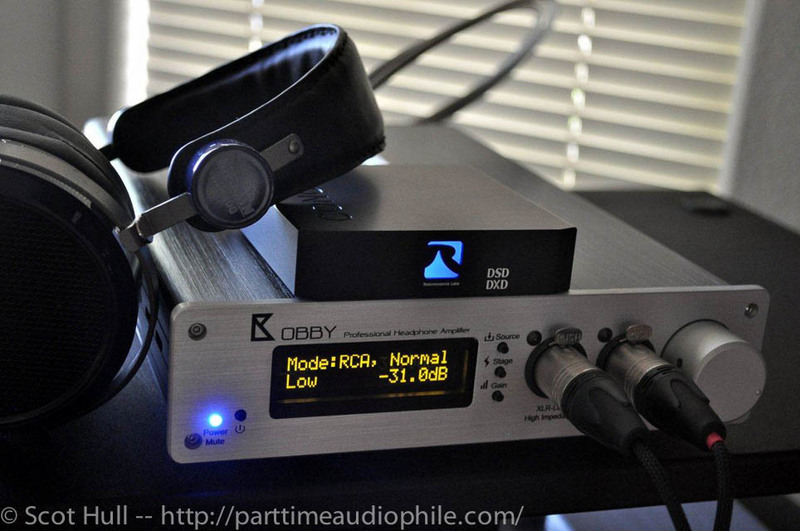 If one objects, they can always leave volume at full range and use the Concero HD as a straight DAC. One last thing to mention – the crew at Resonessence Labs are some of the most responsive I’ve yet encountered in this industry. 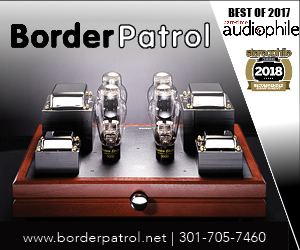 They constantly work towards firmware updates which enable new features, improve sound quality, and fix any minor bugs that may arise. They do this on their own, but also as a response to requests from customers. Their Invicta must have over a dozen new features by now, which were not there when I first reviewed it. And it sounds significantly better too. The Concero family has less room to grow thanks to its more simplistic design, yet already we’ve seen several firmware revisions in the short time it’s been released. You can look at this one of two ways – some users demand a completely finalized product and absolutely despise any type of firmware update. Me, I like improvements. I like the idea that when my obscure media player causes issues, or some other random unforeseeable glitch happens, I can email Resonessence and they’ll be on the case. And I love the idea that my device sounds better now than it did when I first got it. 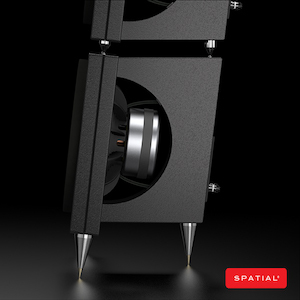 My initial listening was done in my living room setup which I self-depreciatingly refer to as a “real-world system” that wouldn’t be out of reach to most audiophiles. At the moment, it consists of a MacBook Air running the latest version of Audirvana, a NuForce HAP-100 preamp driving a NuForce STA-100 amp, and the Sjofn HiFi (the clue) monitors. Nothing in this setup is obscenely priced but the result has the potential to sound pretty damn good. Recently I’ve been using an Arcam rDAC ($479) in this setup based mostly on the compact size, and it worked well enough but never really blew me away. It wasn’t horrible in any single category but as a whole it failed to engage me. Mids seemed somewhat buried, especially when the mix got thick (as it tends to do often across a wide variety of genres). Singer/songwriter fare, while not suffering from congestion, had its own set of problems — a lack of sparkle or air up top, and a dullness concerning micro-detail for strings and such. Now that I put it into words, it sounds worse than I initially thought. But swapping it out meant taking up more room which at the time I wasn’t wiling or able to spare, so maybe I was putting up with it out of necessity. Real world problem? Enter the Concero HD as real world solution. The Concero HD is even smaller than the rDAC. The Arcam is admittedly well made but the Concero HD is on another level. Doubly so for sonics. What a difference! Gone was the midrange strangulation, replaced by a wide open presentation. No longer did string plucks lack bite or attack. The Concero HD also brought significantly more fleshed out (but not necessarily brighter!) highs which led to improved imaging. This really was a complete turnaround from the Arcam which, again, is by no means the worst DAC I’ve encountered. The brilliant part of a tiny DAC like this is the ability to easily bring it with you anywhere you want. So I moved it from the living room to the desktop, where it was fed from a Windows 7 machine running JRiver Media Center. The Concero HD initially fed a pair of Serene Audio Talismans, which I later swapped out for Adam Audio F5 active monitors. In either case, I heard the Concero HD as being transparent enough to showcase the strengths and shortcomings of each design. 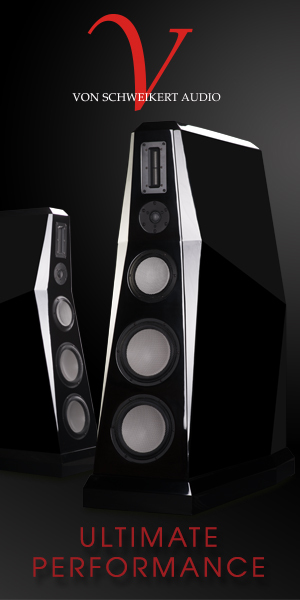 The Talisman — like many single driver full range designs — excels with beautiful midrange articulation. From vocals to violins, the Concero HD just makes the Talismans sound “right” for lack of a better word. 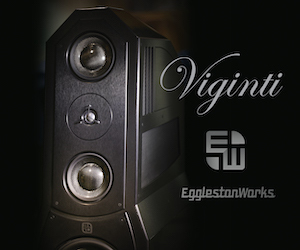 With a minimalist baffle step compensation filter and no room issues to worry about (the benefit of near-field listening) the resulting sound is all about purity and emotion. From folk to jazz to classical, and certain rock such as Eloy or Hendrix, this is a sound I can easily get lost in, where “just one more track” ends up stretching itself to a lengthy session of listening. 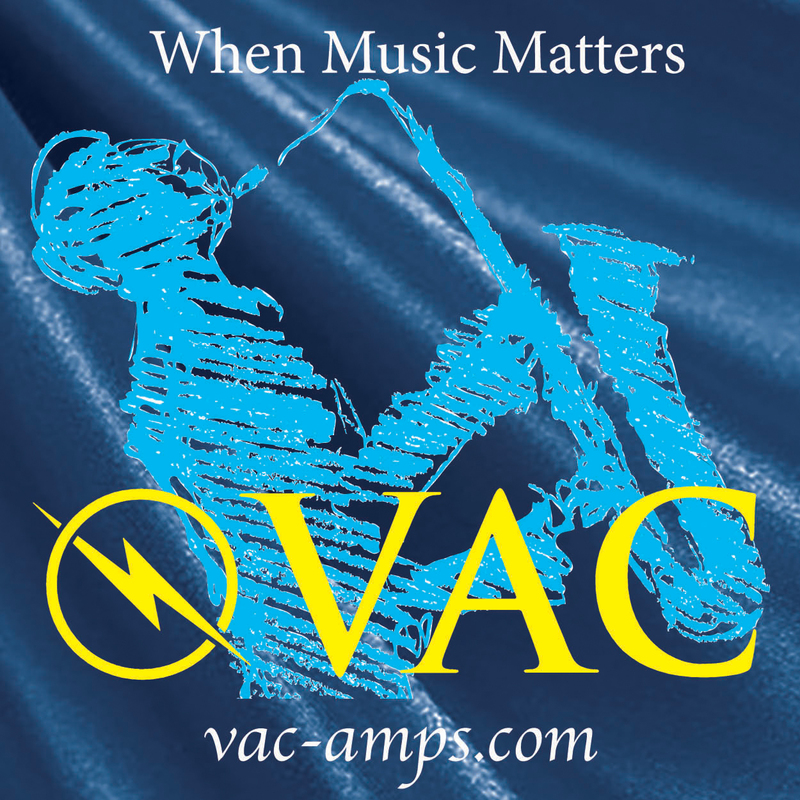 The DAC getting out of the way of the music? I’d call that successful. As I switched to the Adam Audio F5, I traded some (but not all) of that emotion for more accuracy. With a larger woofer and Adam’s proprietary X-ART driver on highs — a variation on the famous Heil Air Motion Transformer — the F5s are more extended from top to bottom, with superior texture and separation throughout. Definitely more of a stereotypical “accurate” studio monitor, though not overly analytical to these ears. I was initially a bit concerned about the F5 overemphasizing transients at the expense of musical flow, and I do think that could be an issue with a very clinical DAC in the chain. Thankfully, the Concero HD is not that DAC. I hear well-defined attack and decay but accompanied by a lack of grain, and an ease which makes it nicely palatable. I still think the Serene Audio widebanders are more relaxing for extended, moderate volume, carefree listening sessions. Yet overall the Adam F5 is the more accurate and objectively “better” speaker, and it can definitely rock harder (and louder!) with heavy music. What’s interesting here is that the Concero HD is able to bring out the best of these two wildly differing designs. Having been very impressed thus far with my living room and desktop adventures, I moved Concero HD into my main headphone rig. 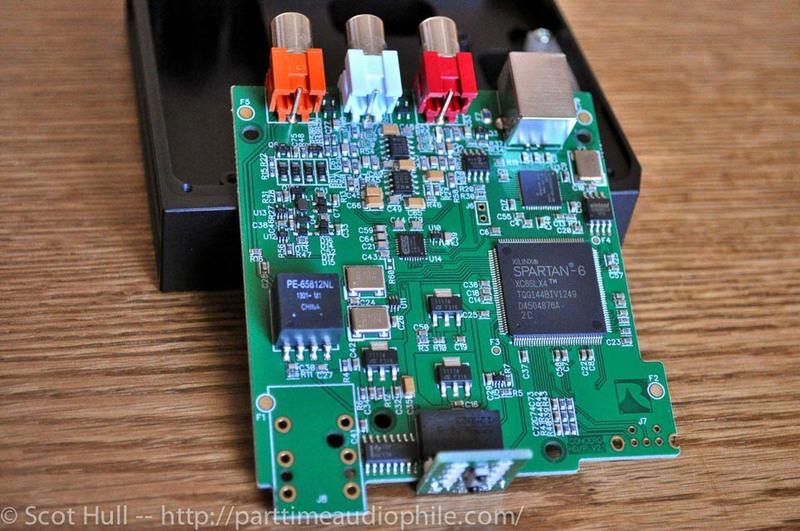 It bordered on absurd to see the 20+ pound full-sized DAC I had been evaluating get replaced by the diminutive Concero HD. I won’t name names for this big DAC but let’s just say I ended up politely declining to review it. 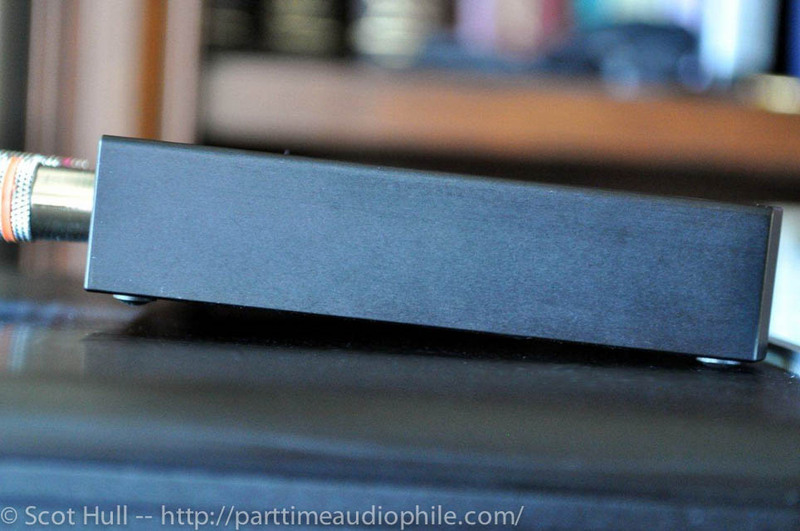 The Concero HD was superior in every way, which again confirmed that you shouldn’t judge a book by its cover nor a DAC by the size of its enclosure. 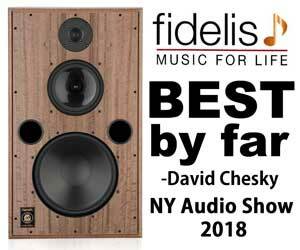 Looking at this David and Goliath comparison it seemed obvious which one should sound better based on conventional audiophile wisdom (whatever that is), but it certainly did not pan out that way. Instead of my usual Auraliti PK90 music server, I used the MacBook Air running Audirvana. The Auraliti runs a custom fork of Linux and apparently it doesn’t agree with the Cypress Semiconductor USB receiver used by Resonessence. Note that I didn’t have any other issues across a range of Windows and OSX machines, so most users should be fine. 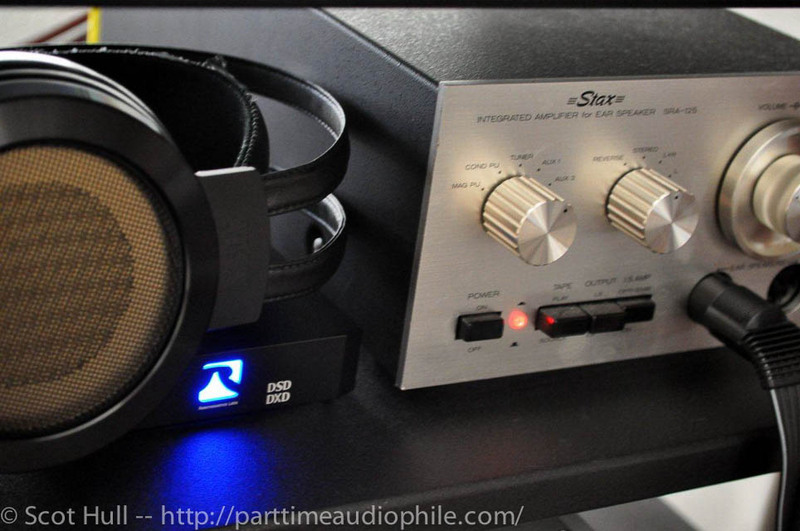 The first amp I used was my Violectric V200, powering the Audeze LCD-2 planar dynamic headphones. “Wow!” is the first thing that came to mind when I heard this system playing hi-res tracks from Livingston Taylor’s Ink. With exceptional texture and body, especially in the critical midrange, Livingston sounded clear, natural, and highly believable. His rendition of Stevie Wonder’s “Isn’t She Lovely” is good enough to be demo material, but has the important distinction of being music I actually like to hear. The opening portion has Livingston whistling — at least I’ve always assumed it was him, though they never specifically mention in the liner notes — and it’s just spooky real. But that shouldn’t be surprising considering the level of talent involved in this recording: you’ve got Livingston (brother of James) who is a professor at Berklee College of Music. You’ve got production from industry legend Bob Katz and long time Chesky mastering engineer Nick Prout. And, last but not least, you’ve got a crew of highly talented and experienced supporting musicians. Of particular interest, at least to me, is the immensely talented veteran percussionist John Arrucci. Also noteworthy is Ned Mann supplying a wonderful bass performance, one of his last before Lou Gehrig’s Disease forced him to hang up his instrument in 1999. The Concero HD reproduces this track about as well as any sanely priced DAC I’ve ever heard, getting out of the way, and allowing these performances to shine through. Very nicely done. After messing with that combo for a while, and being repeatedly impressed with its organic, flowing presentation, I decided to go in a different direction. I swapped out the gutsy solid state V200 for the single-ended triode delicacy of my Analog Design Labs Svetlana 2, and traded the buttery smooth LCD-2 for the supremely detailed Sennheiser HD800. “Wow” applied once more, this time for completely different reasons. This new system was all about precision, detail, and accuracy. 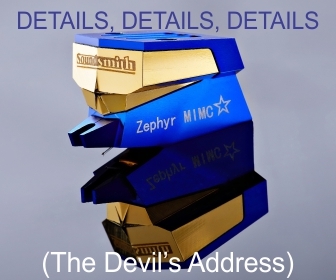 I could hear plentiful microdetails including background minutiae like audience members coughing, sheet music pages turning, and metronomes clicking. I also heard deep into the mix, with a convincing sense of space that transcended the usual “in the head” staging inherent to headphone listening. Obviously this requires suitable material — you can’t squeeze blood from a turnip, and you can’t reproduce spacial information where none exists. But throw on the XRCD release of Rafael Fruhbeck de Burgos doing his take on Albeniz’s Suite Espanola, and prepare to look around the room for castanets. Or how about pretty much anything from 2L Records, where Morten Lindberg records in large concert halls, churches, and cathedrals with astounding results. Far from being gimmicky, these recordings just sound natural and organic, and again the Concero HD lets that speak for itself. I’ve heard better, but never at this price, and never in such a small package. While classical is definitely a great genre for testing soundstage reproduction, it’s certainly not the only game in town. Jackson Browne’s Running on Empty is a great one, with a variety of interesting settings used to record different tracks. 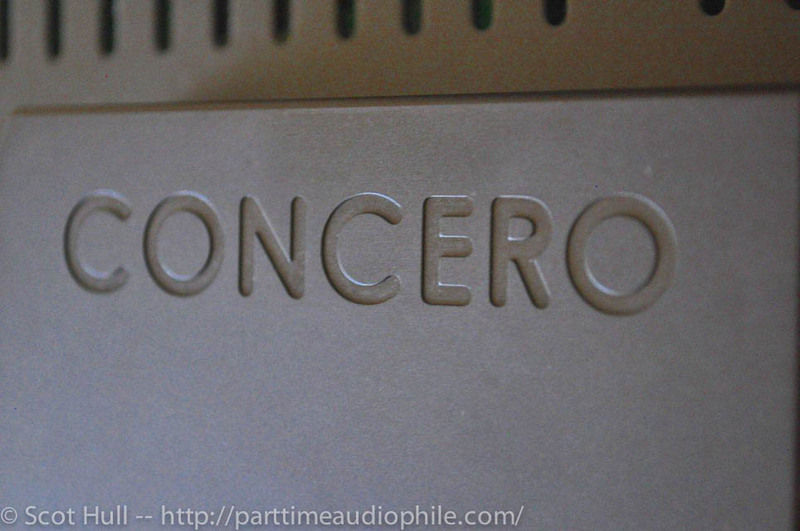 The Concero HD helps me pick out the differing room ambiance from track to track. And this is from the plain ole’ CD rip – there’s a hi-res version available but that one sounds a bit “off” to my ears. I have a theory about that version being a less-than-successful downmix from the 5.1 channel DVD-A release, though I can’t really prove it. In any case, this goes to show that basic, boring 16-bit/44.1kHz material can still sound fantastic. I moved on to other amps such as the AURALiC Taurus mkII, the Firestone Audio Bobby, and the Questyle CMA800, all the while rotating through my best headphones. The Concero HD seemed happy with all of them — a neutral presentation takes all kinds, leaving the amp and the headphone to decide on sound signature. I worried about USB power being an issue — since when are high-end devices powered by USB? Yet I couldn’t argue with the results I was hearing. I even tried an iFi iUSB power supply in hopes of improving things. At times I thought I heard a very slight difference here and there, but it was fleeting enough to where I can’t confidently say it matters. I once chatted with a Resonessence engineer who floated the idea of doing a matching external power supply – nothing really set in stone, just kicking around possibilities – and based on what I’m hearing, it would have to be pretty special to improve the sound they get straight from USB. Seems counter-intuitive but there it is. Another good thing about the Concero HD – it doesn’t demand absolute top-notch recordings in order to sound respectable. I love DSotM as much as the next guy, but one can only hear that so many times per year. Same goes for Rumours and Brothers in Arms and Jazz at the Pawn Shop, and… I could go on but you get the point. Those are great, but what if I want to hear Soundgarden’s Superunknown or BT’s ESCM, neither of which is known as an audiophile staple? Or how about the much maligned 24/96 release of Nirvana’s Nevermind which ended up having significant dynamic compression? I wouldn’t call those the worst recordings ever, but they aren’t really audiophile demo quality either. The Concero HD won’t transform these into audio jewels but neither will it rip them to shreds by highlighting every flaw. Not that I’ll be giving up my copy of the superior MFSL Nevermind release any time soon, but hopefully you get the idea. Concero HD is no trailer queen DAC that demands only premium recordings. 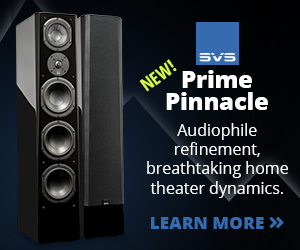 Speaking of premium recordings — what about this whole DSD thing that we keep hearing so much about? Resonessence put the logo on front so it must be worth investigating right? I’ll spare you my ramblings on DSD in the broader sense — I could go on and on about new formats, lack of support, the same albums being released over and over as “must have!” items, etc. I’ll just summarize it like so – early on, I was vaguely hopeful that DSD might actually take off to some degree, given the fact that plenty of material exists from the SACD days. If a record company already has the material ready to go, and the delivery medium is now digital (meaning no packaging or other physical distribution issues stand in the way), it seems logical to make it happen. As time passes I’m seeing more positive signs – a growing number of places sell DSD tracks, including Acoustic Sounds which has rights to the catalogs from Universal Music Group and Sony Music Entertainment. I expect to see this segment grow fairly rapidly in the near future, though standard resolution will remain by far the most common format. 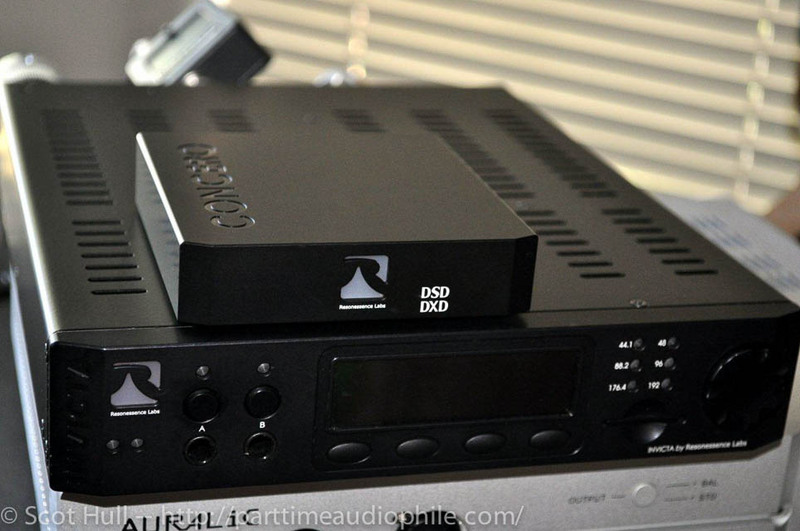 So how does the Concero HD do with DSD? Quite well I’d say. 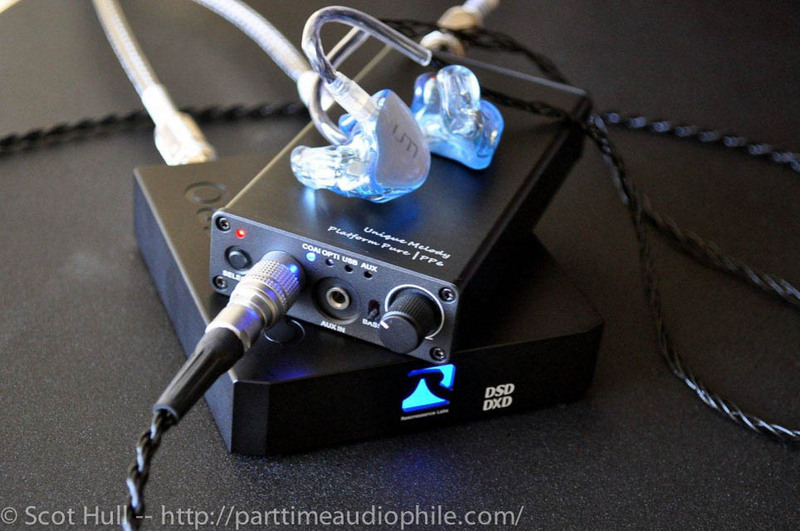 It can handle “standard” DSD64 as well as DSD128 which is sometimes referred to as double-rate DSD. I ran through my collection of tracks and really liked what I heard. The first track off Round Midnight by Johan Dielemans Trio, “My Heart Stood Still” is an excellent choice to show off just how good DSD can sound. It’s not an overly flashy presentation but the realism in the drums and especially the cymbals is just remarkable if you know what to listen for. The Concero HD once again showed its prowess for accuracy — I don’t mean brightness, where faux-detail is pushed in your face, but real, actual clarity. This is one of those tracks that could help sell the idea of DSD downloads as a worthwhile pursuit. I then switched to the DSD128 version of Eric Bibb’s “Where the Green Grass Grows”, available on the fantastic Opus3 DSD Showcase collection. This track is just jaw-droppingly good on every level, and has been described as matching the 15 ips master tape. I’ve heard it through DACs costing many times what the little Resonessence unit sells for, and I don’t feel like I’m missing a whole lot with the Concero HD in action. Does it live up to the mighty Resonessence Labs Invicta? Nope. But I feel like the differences are perhaps smaller when using DSD as compared to PCM. How about DXD? What the heck is that anyway? It also gets a logo on the front panel, though it doesn’t command the same attention as buzzworthy DSD. DXD, in a nutshell, was developed for mastering SACD projects, and is not often found “in the wild” for us end users. That said, what little is available is exceptional, and again the Concero HD handles it well. Finzi: from Let Us Garlands Bring, op.18, Come Away, Death (available as a free download from 2L Records in a variety of formats) has a grim name but is actually quite beautiful. The original recording was done in DXD, so it’s great to have the option of playing it back sans conversion. The download is massive — 4 times larger than the DSD64 version, and nearly 8 times larger than the 24/96 PCM version — but the result is awe inspiring. It’s got that “you are there” realism thing going on, with effortless dynamics and pinpoint imaging. As I played this track from the Concero HD on my Stax electrostatic setup, I found it hard to believe I wasn’t listening to some megabuck DAC. I’m not sure about the viability of DXD as a consumer format, at least not until we all have blazing fast internet connections, but as a decidedly niche format I’m happy to have it. Reading through the above, you might notice a common theme; I ended up focusing more on the music than the hardware. I didn’t set out to deliberately write in that fashion – it just came out that way. 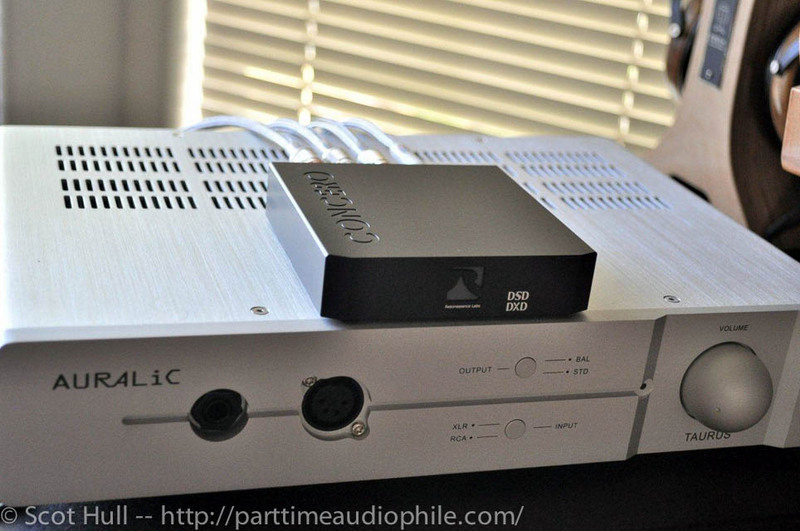 The Concero HD steps out of the way like few “affordable” DACs can, allowing the music to take center stage. And isn’t that the point? Oh, and did I mention the Concero HD doubles as a very nice USB to SPDIF converter? 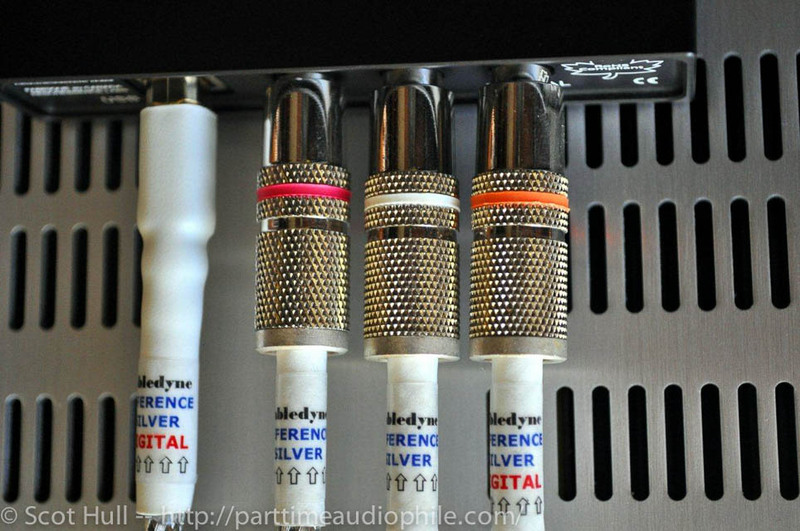 If, at some point down the line, the owner decides to upgrade to some better (and probably far more expensive) DAC, the HD can still find a use. Do they really still make DACs without built-in USB inputs? Sure they do. I’ve got two of them at the moment. And the Concero HD does a great job with both – it’s better than my Stello U3 ($495) and trails a bit behind the Audiophilleo 1 with PurePower which I consider the current state of the art. The upsampling option, complete with proprietary filters, still applies to this function, meaning it’s more than just a straight digital to digital converter. Not too shabby as a sort of bonus feature which comes secondary to the main function. Is the Concero HD perfect? Of course not. If it was, Resonessence Labs would have little success in selling their nearly-six-times-more-expensive Invicta. Yet it remains blindingly impressive for the price and especially for the size. Any weaknesses it may have are subtractive rather than glaring – I could always do with more low-end texture, better instrument separation, more immersive soundstage, more air up top… that’s just the greedy, insatiable nature of our hobby. But none of those areas are weak spots in the first place, and taken on its own the Concero HD is highly enjoyable. It’s detailed enough to do justice to good recordings but not so detailed that it becomes obnoxious. Or, put another way, it keeps the Resonessense Labs house sound I find so appealing in the Invicta. As it stands, I see but a few conceivable stumbling blocks for the potential customer. First, the amount and type of inputs. If you absolutely need multiple coax inputs, or other types like Toslink and AES/EBU, well, obviously the little Concero HD won’t cut it. It’s a highly focused design and it does what it does very well, but I can see how it wouldn’t be adequate for some users. Second, the existence of the original Concero is a bit of an interesting situation. It’s quite good in its own right, and folks without very high quality ancillary equipment might not take full advantage of the difference. Don’t get me wrong — the HD is clearly superior to the original, but it takes a reasonably good system to appreciate the full extent of the improvement. The original retains much of the charm of this new model, and for second (or third?) systems or folks on a budget it could be all the DAC that’s necessary. 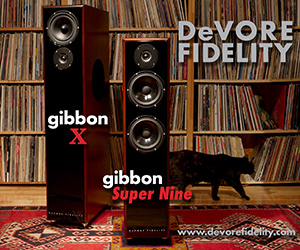 Still, if you can spring for it, the HD is superior in sound and more future-proof in terms of DSD support. So let’s recap for a minute here. Concero HD. Tiny USB powered DAC with bleeding edge ESS Sabre chip, advanced format support, selectable upsampling with proprietary filters, excellent build quality, and bonus USB to SPDIF functionality. All for under a grand. 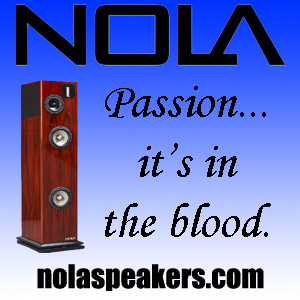 Its simplicity and size make it highly transportable, while its sound quality makes it plenty capable for home use. Another giant slayer from Resonessence Labs? Absolutely. John Grandberg can normally be found contributing to InnerFidelity.com where he covers “personal audio”, which includes headphones and amplification, desktop speakers, portable players, etc. He has a decent speaker-based system but spends most of his time with tiny speakers strapped to his head, or sometimes even inserted into is ears. Gross. John tries his best to eschew purple prose but occasionally has trouble avoiding sesquipedalian loquaciousness. Shockingly, he doesn’t “do” vinyl, being utterly content with his ever-growing collection of music stored in lossless digital form. He is terrible at photography and apologizes in advance for the shoddy pictures he might force upon his hapless readers. Consider yourself warned. Excellent review as always John. 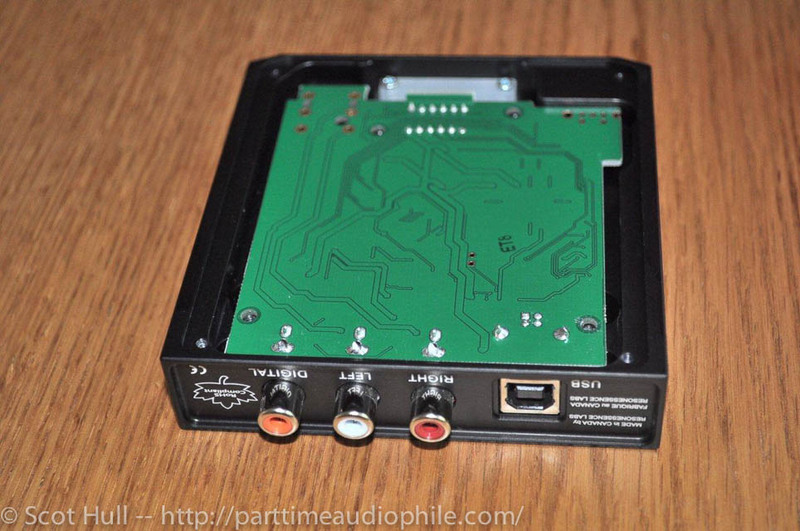 Ive been thinking about a transportable dac and I think the form factor of this unit fits the bill. I assume it was plug and play, and without any complication during the install? Yep, very straight forward on a MacBook. Windows machines require drivers, which is something that Resonessence Labs seems good at compared to some other companies and the headaches caused by their proprietary drivers. Good question. Never heard that Teac (yet). Seems like more of a “jack of all trades” which, generally speaking, is a master of none. But I’m just generalizing here.